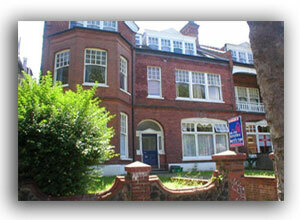 Thank you for visiting One to One Estates, the North London based independent estate agent. Here at One to One Estates we are dedicated to bringing you the very best in property rental and purchase. One to One Estates offer a friendly, personal service to all our customers. North London is one of the most viable areas for work centres like the City and West End. There is an excellent transport service, including a great bus network with both tube and overland rail connections to almost any area. One of the great advantages of North London is the many transport options available. Angel, Archway, Arnos Grove, Arsenal, Belsize Park, Bounds Green, Caledonian Rd, Camden Town, Chalk Farm, Crouch End, Finchley, Finsbury Park, Golders Green, Hampstead, Highgate, Holloway, Hornsey, Islington, Kentish Town, Manor House, Muswell Hill, Seven Sisters, Stoke Newington, Stroud Green, Tufnell Park, Turnpike Lane, Wood Green. To many, North London is not only a great place to live it is a lifestyle. North London has a vibrant, young and exciting culture, lots of modern restaurants, pubs, bars, cinemas and theatres. North London is also home to many sports personalities, film and television stars, famous musicians, artists and Universities. There are a number of sports centres and all this together with the great nightlife potential makes the area a vibrant place to be for those people who enjoy this unique lifestyle of today. If you have never considered North London as a place to live, have a look through our site and check out some of our recent property listings. Our portfolio includes properties to suit most budgets. More and more, landlords, buyers and property investors are showing a remarkable interest in North London and the great opportunity it offers for future property investment. If you are a potential buyer or want to sell your property, please give us a call or contact us for more information. One to One Estates is an NALS Licensed member. Client Money Protection (CMP) provided by NALS. Independent Redress provided by TPO.